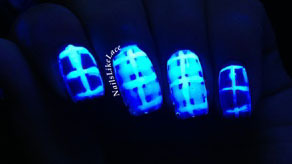 @gashin_nails on Instagram painted some really pretty plaid nails a while ago that I loved so much I wanted to recreate. 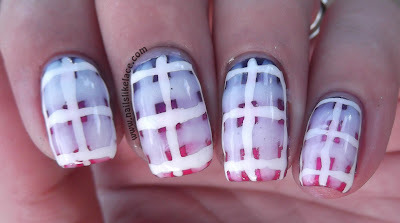 So here is my not-so-awesome take on gradient & plaid nails. And, again, of course, BLACK LIGHT TOPCOAT ALL THE THINGS!